@Romi's Studio: Egg Hunt Anyone? It's my 7th Annual Easter Egg Hunt! 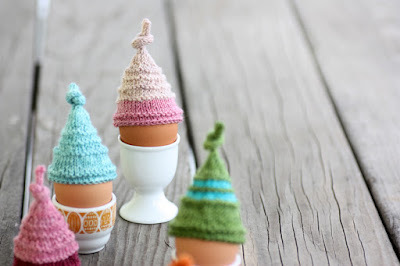 I will be uploading pictures of brown eggs in wee hats onto my pattern pages on Ravelry the evening of Saturday, March 31 right before the first hunt. These pictures will have Ravelry shopping cart codes in them for prizes! Starting at 9pm PDT March 31, the codes will go live and you will be able to use them if you can find them! After the initial run of prizes has been used up, codes will go live again at 12 noon PDT Easter Sunday (4-1), and then again at 7pm PDT Easter Sunday afternoon (4-1). I've split them up so that there are more chances to win. Some of the codes are single use (so make sure you find them first! ), and some of them are multiple use codes (IOW, more than one person can use the code, but a person can only use each code one time). I realize that this is an international community, and apologize for bad timing for some of you; that's why I've split everything up into 3 hunts. The codes will expire at 10am PDT Tuesday, April 3. There is nothing to stop you from getting more than one of the codes. For instance, you could snag both the Grand Prize and a free pattern! These next codes won't change, so although they'll be up for each hunt, and also move around from pattern to pattern, you can only use each of these one time per Ravelry user. Free Pattern (one per user): a code for $6.50 to my Ravelry pattern shop, which will cover the price of most any of my small shawl patterns. In other words: use the code and get a free pattern or get $6.50 off a larger purchase; one use per person (this needs to be used all at once-in one purchase; you can't use it a little at a time). Note that this is a single use per customer coupon, so there is one free pattern per person across the 3 hunt times. One Specific Free Pattern of my choice (one per user): a code for a specific free pattern from my Ravelry pattern shop. It will be the same pattern through all the hunts, and an unlimited number of people can use this coupon once. The location of the code will change, but the code will not change. Note that this is a single use per customer coupon, so this particular coupon can only be used pattern is free once per person across the 3 hunt times. All Easter egg pics will be removed from my pattern pages at 6:30 am PDT on Monday, April 2. 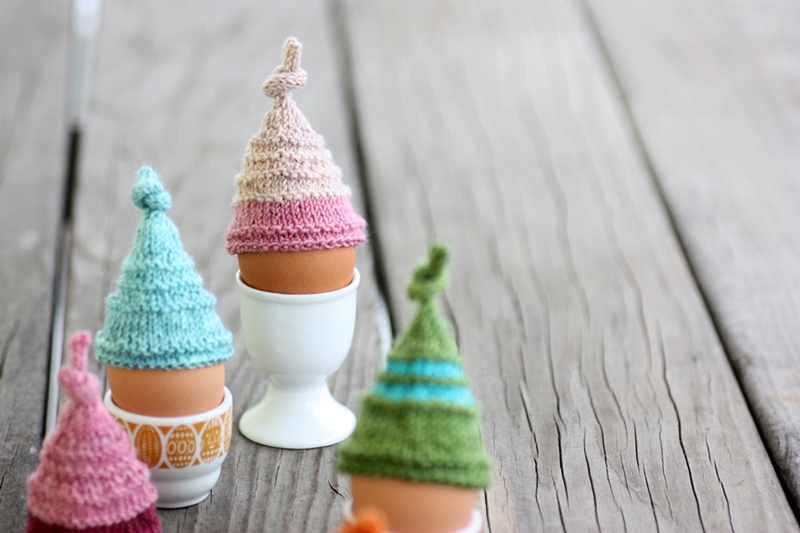 I've made wee little egg hats and taken pictures, and now it's time for the count down! Thank-you so much! I've been saving Crimson Blossom since LAST Easter's Egg Hunt, and was able to get it last night (and Knitting by the Pool) because you are the most generous (and talented) designer ever!